Squirrel Mortgage Brokers owner John Bolton says he doesn’t expect to see more rate drops or other banks to follow suit, after HSBC set their one and two year fixed rates at 4.25% today. “I don’t think other banks will move their headline rates down, I think we’re really getting towards the bottom end of the market,” Bolton told NZ Adviser. “The reality is, for good-sized loans the other banks have been matching those rates anyway,” he said, noting the market has been negotiating rates at these low levels for the past few weeks. Bolton says when deposit rates going down to 3.5 it’s harder for banks to attract deposit money. 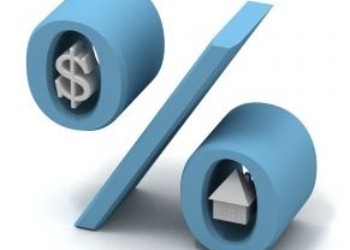 However, Kris Pedersen of Kris Pedersen Mortgages told NZ Adviser there could be a bit more nudging down of interest rates. “It’s so competitive out there at the moment, with the introduction of the new RBNZ rules, banks are still going to try and get as much across the line and they probably need to do that through market share." He says it is unlikely rates will drop below the four percent range but there might be a few more drops from the banks given the time of year. by Woodsy 12/10/2015 2:38:59 p.m.
by James 13/10/2015 10:11:24 a.m.
by Geoff Peterson 17/12/2015 10:22:14 a.m. Here are my thoughts on rates. (I have been an Adviser in Mortgage and Insurance for approx 18 years). They will move up or down when the market conditions are such that they have to move. Currently we have downside movement due to slower economic performance in NZ, as the Reserve Bank uses the OCR as a tool to either reduce or increase cash flow in the economy, which in turn has a direct impact on the inflation level. If business in NZ has a down turn next year, or does not perform as expected, we may see the rate drop further. However if it remains as it is now, with moderate growth predicted, we may not see any changes at all, until growth either goes up or down enough to warrant making an adjustment. My feeling is we will have stable rates for the next 3 years at least.